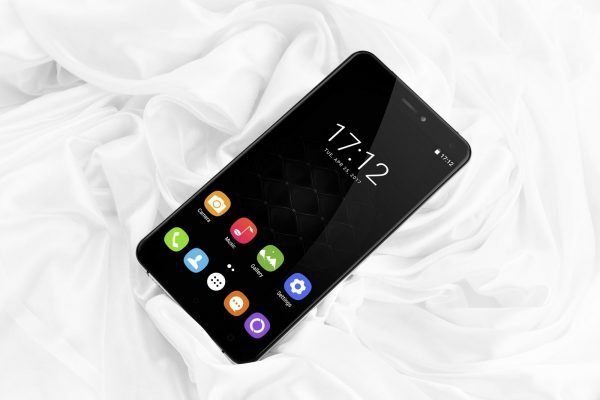 OUKITEL has been quite busy with new devices recently as they have announced several new devices like K10000 Pro, K4000 Plus, U11 plus and U22 within a short time. 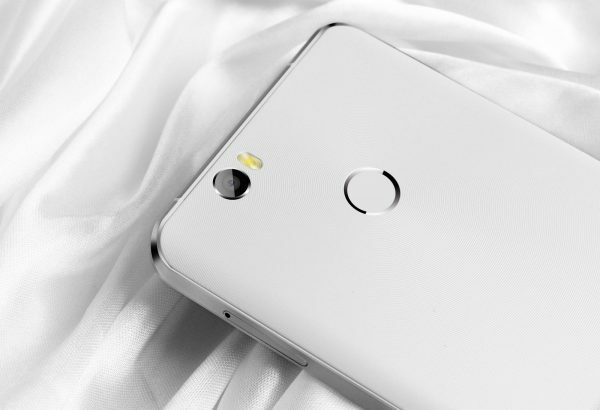 This week, OUKITEL will start the global wide presale for U11 Plus with 4GB and 64GB ROM on Monday and K4000 plus with 4000mAh battery and tough screen on Tuesday. The prices of these two devices are quite competitive comparing to similar configuration devices. Here we will check out the U11 plus first. The biggest features for U11 plus are big screen, big memory, big battery and high definition cameras. See the first hands on video here to check out what it looks like. OUKITEL U11 plus is quite special in frame and back design. The frame is sectional 3D arc designed and CNC crafted, while the battery cover gains unique swirl print with poly-carbonated material which is inspired by the rings on a tree. On the front, it makes virtual menu, home and back buttons into the 5.7 inch FHD display, leaving more usable screen for users. 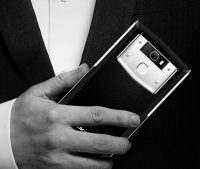 User experience is always a big concern for smartphones. It has to run smoothly and quickly. 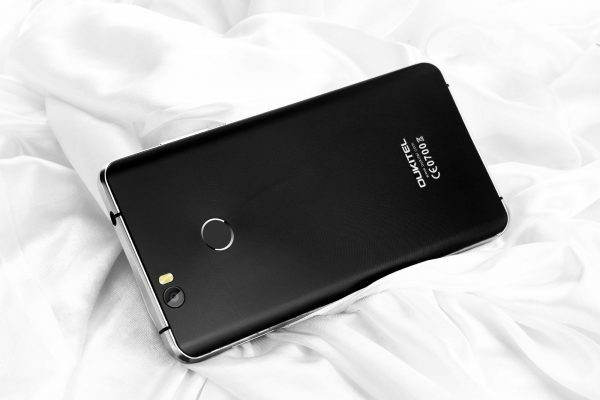 OUKITEL U11 Plus carries MediaTek MT6750T Octa-core cortex A53 1.5Ghz processor ARM Mali-T860 GPU and 4GB RAM for running heavy games and daily multi-tasks. While with the 64GB internal memory and 128GB expandable memory offers large space for storing hundreds of applications. The cameras for U11 plus is also a big point. Both the front and back camera get AR1335 13MP camera lens, both interpolated to 16MP and both add a flash light to get better photo effect. U11 plus also gets smart gestures for direct access, fingerprint for smartphone protection and different themes for free exchange. 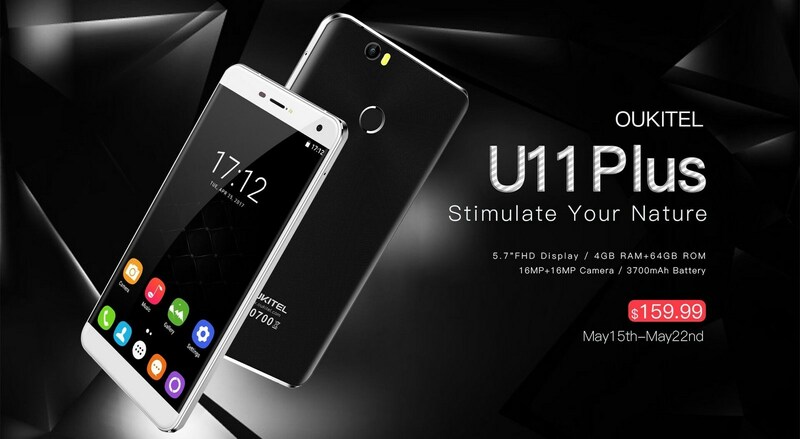 Available in white and black colors, and runs on Android 7.0 OS, U11 plus is starting presale from May 15th to May 22nd at only $159.99 on Gearbest and other reseller stores.